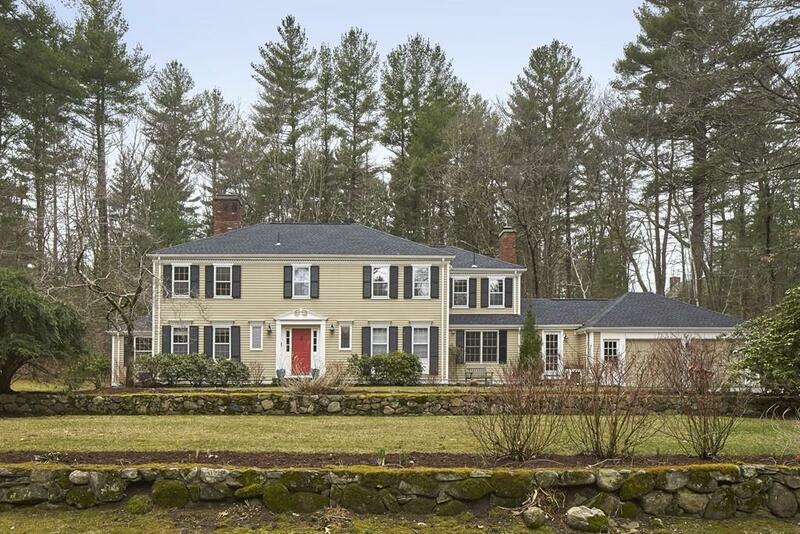 This Classic 5 bedroom Colonial is beautifully-sited on 1.4 acres of professionally manicured grounds in a desirable Weston neighborhood. This well-appointed home provides an ideal floor plan with abundant light-filled rooms designed for comfortable living and entertaining on any occasion. The first level features a beautiful front to back foyer which opens to the elegant living room with wood burning fireplace and adjacent dining room. 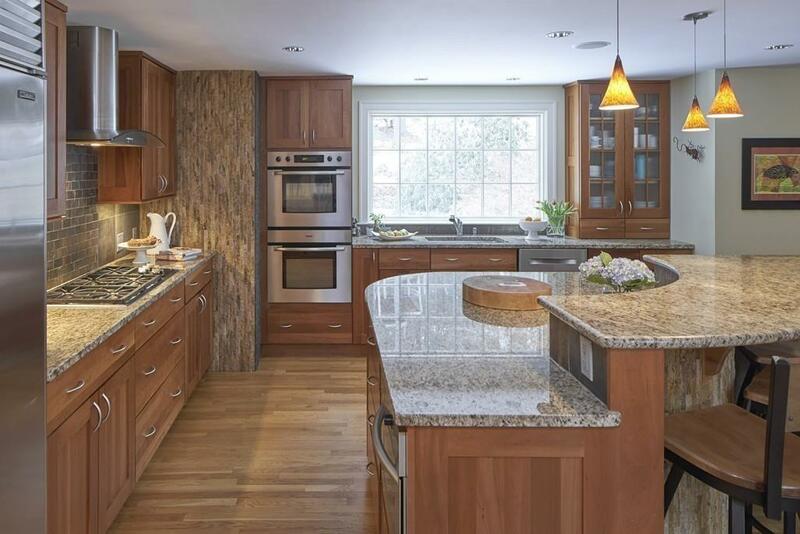 The stunning chefs kitchen with large center island, fireplace, and breakfast area opens to the spacious cathedral-ceilinged family room with French door and direct exterior access to the bluestone patio. Completing the first floor is a handsome office with fireplace and built-ins. The second floor features a serene master bedroom suite plus four additional bedrooms and two baths. The finished lower level provides additional recreation space. 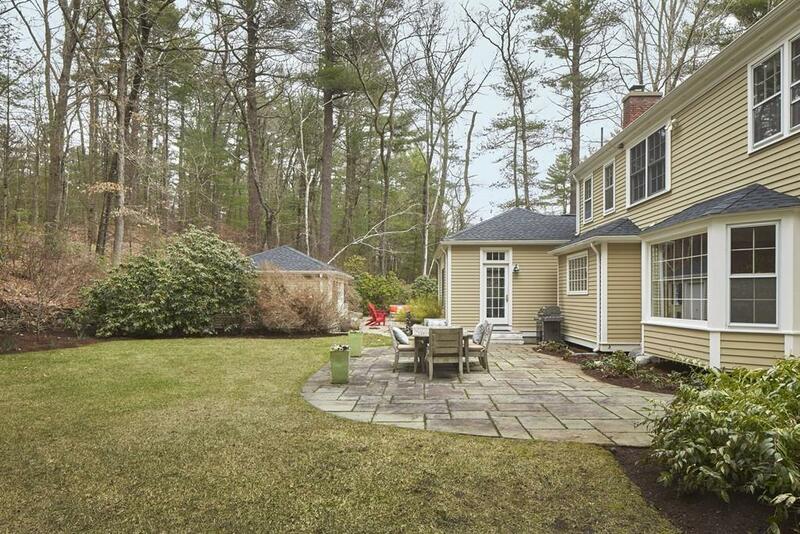 This spectacular home abuts miles of tranquil conservation land and trails. Exclusions Decorative Hardware in Mudroom And Powder Room.